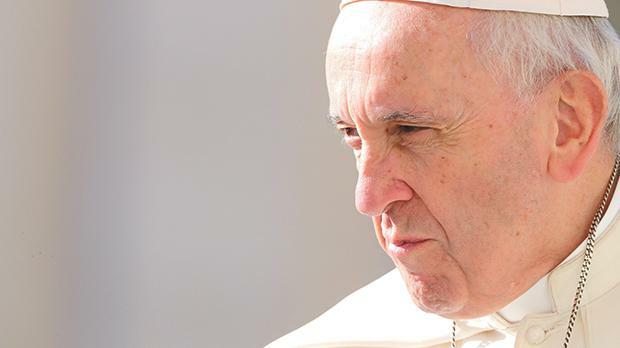 The attacks on Pope Francis have recently increased in number and callousness. Right-wing Cardinal Raymond Burke said: “It is not only possible but necessary to criticise the Pope”. We all knew that! It is a pity Burke did not have the courage to say this before he was chosen to be a bishop, and then a cardinal. Would it have blocked his career? Then ex-Vatican diplomat Archbishop Carlo Maria Viganò, published, with the help of conservative Catholic journalist Marco Tosatti, what he called a “testimony”, in which he called on the Pope to resign. Burke was among the first of a small number of bishops to publicly support Viganò’s denunciation of the Pope. These are the same people who used to teach that “where there is Peter, there is the Church”; however, Ultramontanism is in their genes. It is ironic that some of these Ultramontanists were scandalised because Cardinal Martini said the Church needs another Council: Vatican III! To say the Vatican is in crisis is the cheapest of platitudes. The crisis has been long in the making and dates back to the time when some high-ranking ecclesiastics looked at the election of St Pope John XXIII as a joke; but the Holy Spirit has shown them that He does, in fact, write straight on crooked lines. Then, there were those who believed that once the Pope has been declared to be infallible there would be no more need for Councils. The papacy of St John Paul II unintentionally made the situation worse. His apostolic journeys left the Roman Curia officials too much freedom; so “while the cat’s away, the mice will play”. Careerism became rampant, while great theologians were placed in the black book of the Congregation for the Doctrine of the Faith. It was during this time that the US cardinal and his ilk grew in power. In his open letter to Viganò, Cardinal Marc Ouellet, Prefect for the Congregation for Bishops, wrote: “I find your current attitude incomprehensible and extremely troubling, not only because of the confusion it sows among the People of God, but because your public accusations gravely harm the reputation of the bishops, successors of the Apostles.” Ouellet also referred to lack of trust among top ecclesiastics: “I recall a time when I enjoyed your [Viganò’s] esteem and trust, but now I have been stripped in your eyes of the respect that was accorded to me, for the only reason I have remained faithful to the Holy Father’s guidance in exercising the service he has entrusted to me in the Church”. But the real attack is not on Pope Francis, but on his ecclesio­logy – that of Vatican II – which he promotes vehemently and with great tenacity. The causes of the opposition to Francis lie in the resistance to accept Vatican II. It is an attack on the reform proposed by Vatican II, and some prophetic voices in the Church. There are several people in the Church who never really accepted Vatican II, and are now faced with a Pope determined to release, not to restrain, the reforms the Council called for. This is not a Pope weeping about the Italian Risorgimento’s dismantling of the Papal States, but a Pope taking his inspiration from the Gospel and the first century Church, thus setting hearts ablaze with the Gospel. Today Pope Paul VI and Archbishop Óscar Romero will be canonised in Rome. These were two real martyrs of the ecclesiology of Vatican II. It is through saints like these that God will bring the conversion of His people and reform His Church. Fr Joe Inguanez, a sociologist, is executive director of Discern.